Jeff Howard has 5 tips he uses when discussing nutrition with clients. Hopefully, you had a chance to view his short video here. Read further as we go more in depth on each tip. Questions or comments? Leave them below! Skipping breakfast can set you up for unhealthy choices or overeating later in the day. Don't rush out of the door in the morning without something to eat! A healthy morning meal can give you energy, satisfy your appetite, and set the stage for smart decisions all day long. Aim for a breakfast that combines good carbs, fiber and protein. 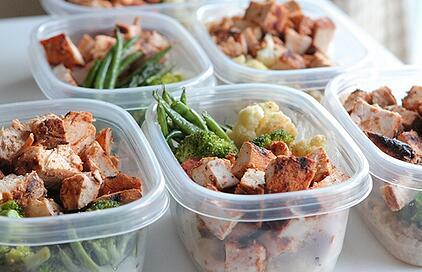 Taking the time to prep your meals ahead of time or plan your week's menus will save time and keep you on track. Lunch should be just as big as breakfast while dinner should be your lightest meal. 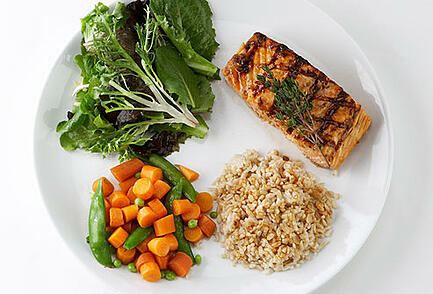 Try to avoid carbs at dinner by filling up on protein and vegetables. Jeff also encourages his clients to use the 1 condiment rule. If having a sandwich, do not use cheese, mayo and butter. Pick 1 and go light! Meal prepping on Sunday for a couple of hours will save you time throughout the week and keep you from making an unhealthy choice. Try roasting lots of veggies in the oven with seasonings and grilling up chicken or lean beef and then portioning out. Keep yourself on track requires some planning but can make all of the difference in seeing progress. Example Dinner #1: Chicken (or any protein) and veggies on the grill like asparagus with a side salad. Salads with chopped almonds and blueberries are great during the summer with a little bit of balsamic and olive oil or a light dressing of your choice. We love these yogurt based dressings you can get at Whole Foods or Kroger. Example Dinner #2: Salmon with roasted brussels, red peppers and bacon. Out of site, out of mind! It is much easier to avoid unhealthy foods when they are not in your pantry. Do a big purge of all (or most!) 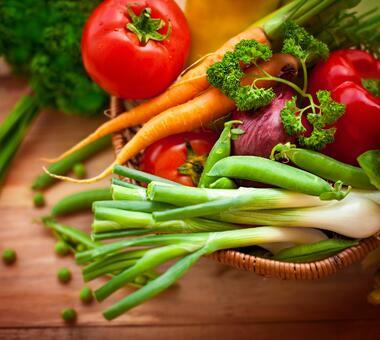 processed foods and sugary treats and stock up on fresh fruits, vegetables and snacks. Eating healthy does not have to mean having a pantry full of boring items. Check out Whole Foods Pantry Makeover list and details below. Accountability is key. Find a friend on a similar journey or someone you can text your food to like a personal trainer. You will be less likely to want to text your buddy that you are eating pizza! It is also a great resource when going out to eat. Check the menus online first and talk about the healthiest menu options ahead of time. Most of our eating habits need help. Fast food, high-calorie desserts, sweet drinks, and more have filled us up -- and out. Most adults and 1 in 3 children in the U.S. are overweight or obese. Changing the way you eat can be easy. Eating slowly is a good start so your brain has enough time to tell your stomach it is full. To start, learn about some of the worst food offenders and how to replace them with healthier choices. Then try some portion-control tricks. One of the most important things you can do for better nutrition and a successful diet is to drink enough water. Don’t wait to feel thirsty to start sipping — that’s a sign that dehydration has already started to occur. You want to drink water throughout the day, on a regular basis. Recommendations from the Food and Nutrition Board are for women to get 91 ounces per day and men 125 ounces from all sources — water, other beverages, and foods with a high water content. This varies depending on exercise, food choices, etc. More on the importance of water in your diet plan.